Here is The Education of Henry Adams, an autobiography or, perhaps more accurately, a memoir in that there are around 20 years missing, those with his wife Clover. (See the link at the end for access to her life, and its effect on Henry Adams). If I had carefully and thoroughly read The Education of Henry Adams in my ‘teen years I may well have had a more sympathetic response to the urging of my father and countless teachers to the tasting of what is known and written as “history.” I certainly would have had an appropriately critical posture or, rather, a basis for such a posture from what I would have then gleaned from this book, an online version of which can be read here. 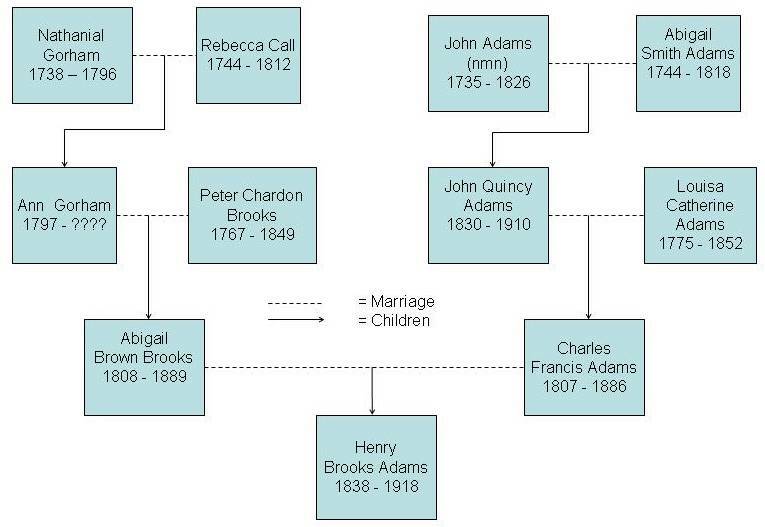 Adams’s great-grandfather was the second US President, John Adams, and his grandfather was the sixth President, John Quincy Adams whom he remembers along with his maternal grandfather, Peter Chardon Brooks, a wealthy Massachusetts merchant. He was the fourth of seven children and was able, through family connections and wealth, to roam the world—mostly Europe—and to consort easily with presidents, heads of state and other high politicians, great scholars and scientists, and other luminaries and villains of the second half of the 19th Century. William Henry Seward, US Secretary of State under presidents Lincoln and Grant during the years 1861-69, was one of Adams’s favorite public figures and acquaintances. Much of what is written today in the realms of politics and statecraft, weaponry and war, physics, industrial development, religion and science, evolution in its broadest sense, psychology, Nature and Man, and other areas of inquiry are amply and aptly covered in this volume of 500 pages (in the small Modern Library edition). I offer, below, a few quotations to show what HA says he has learned, finally, after not quite 70 years of life. From cradle to grave this problem of running order through chaos, direction through space, discipline through freedom, unity through multiplicity, has always been and must always be, the task of education, as it is the moral of religion, philosophy, science, art, politics, and economy; but a boy’s will is his life, and he dies when it is broken, as the colt dies in harness, taking new nature in becoming tame. Rarely has the boy felt kindly toward his tamers. Between him and his master has always been war. 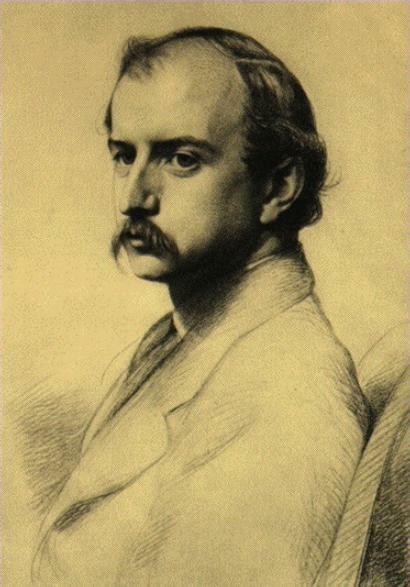 Henry Adams never knew a boy of his generation to like a master, and the task of remaining on friendly terms with one’s own family, in such a relations, was never easy. This innocent question, put in a candid spirit, petrified any executive officer that ever sat a week in his office. Even Adams admitted that Senators passed belief. 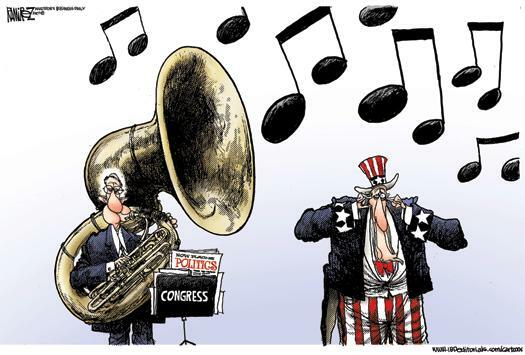 The comic side of their egotism partly disguised its extravagance, but faction had gone so far under (President) Andrew Johnson that at times the whole Senate seemed to catch hysterics of nervous bucking without apparent reason…(T)heir egotism and factiousness were no laughing matter. They did permanent and terrible mischief, as (President) Garfield and (Secretary of State) Blaine, and even (President) McKinley and (Secretary of State) John Hay, were to feel. The most troublesome task of a reform President was that of bringing the Senate back to decency. Those who seek education in the paths of duty are always deceived by the illusion that power in the hands of friends is an advantage to them. As far as Adams could teach experience, he was bound to warn them that he had found it an invariable disaster. Power is poison. Its effect on Presidents had been always tragic, chiefly as an almost insane excitement at first, and a worse reaction afterwards; but also because no mind is so well balanced as to bear the strain of seizing unlimited force without habit or knowledge of it; and finding it disputed with him by hungry packs of wolves and hounds whose lives depend on snatching the carrion. 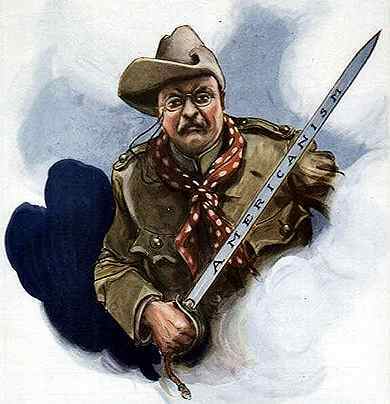 (President Theodore) Roosevelt enjoyed a singularly direct nature and honest intent, but he lived naturally in restless agitation that would have worn out most tempers in a month, and his first year of Presidency showed chronic excitement that made a friend tremble. As an affair of pure education the point is worth notice from young men who are drawn into politics. 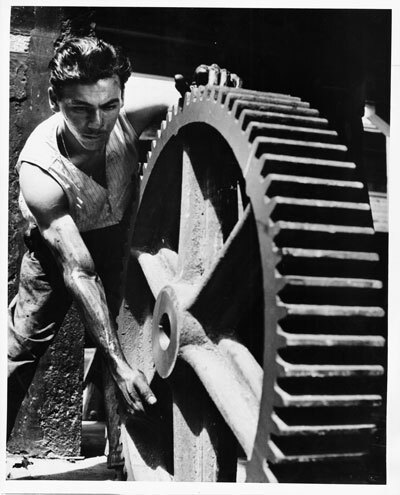 The work of domestic progress is done by masses of mechanical power–steam, electric, furnace, or other–which have to be controlled by a score or two of individuals who have shown capacity to manage it…Modern politics is, at bottom, a struggle not of men but of forces. The men become every year more and more creatures of force, massed about central power-houses. The conflict is no longer between the men, but between the motors that drive the men, and the men tend to succumb to their own motive forces. Nearly all the highest intelligence known to history had drowned itself in the reflection of its own thought, and the bovine survivors had rudely told the truth about it, without affecting the intelligent. One’s own time had not been exempt. Even since 1870 friends by scores had fallen victims to it. Within five-and-twenty years, a new library had grown out of it. Harvard College was a focus of the study; France supported hospitals for it; England published magazines of it. Nothing was easier than to take one’s mind in one’s hand, and ask one’s psychological friends what they made of it, and the more because it mattered so little to either party, since their minds, whatever they were, had pretty nearly ceased to reflect, and let them do what they liked with the small remnant, they could scarcely do anything very new with it. All one asked was to learn what they hoped to do. Unfortunately the pursuit of ignorance in silence had, by this time, led the weary pilgrim [i.e., himself] into such mountains of ignorance that he could no longer see any path whatever, and could not even understand a signpost. He failed to fathom the depths of the new psychology, which proved to him that, on that side as on the mathematical side, his power of thought was atrophied, if, indeed, it ever existed. Since he could not fathom the science, he could only ask the simplest of questions: Did the new psychology hold that the νΧή (Ancient Greek for Psyche)–soul or mind–was or was not a unit? 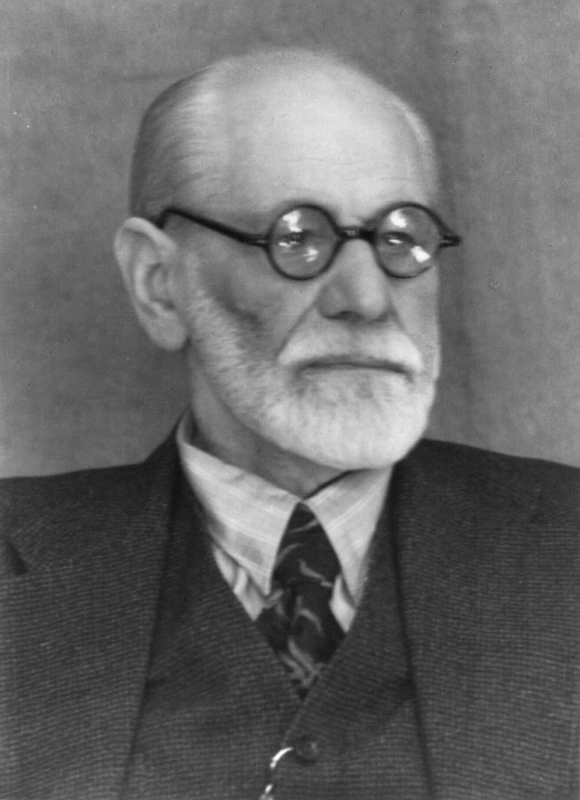 He gathered from the books that the psychologists had, in a few cases, distinguished several personalities in the same mind, each conscious and constant, individual and exclusive. The fact seemed scarcely surprising, since it had been a habit of mind from earliest recorded time, and equally familiar to the last acquaintance who had taken a drug or caught a fever, or eaten a Welsh rarebit before bed; for surely no one could follow the action of a vivid dream, and still need to be told that the actors evoked by his mind were not himself, but quite unknown to all he had ever recognized as self. The new psychology went further, and seemed convinced that it had actually split personality not only into dualism, but also into complex groups, like telephonic centres and systems, that might be isolated and called up at will, and whose physical action might be occult in the sense of strangeness to any known form of force. Dualism seemed to have become as common as binary stars. Alternating personalities turned up constantly, even among one’s friends. The facts seemed certain, or at least as certain as other facts; all they needed was explanation. This was not the business of the searcher of ignorance, who felt himself in no way responsible for causes. To his mind, the compound νΧή took at once the form of a bicycle-rider, mechanically balancing himself by inhibiting all his inferior personalities, and sure to fall into the sub-conscious chaos below, if one of his inferior personalities got on top. The only absolute truth was the sub-conscious chaos below, which every one could feel when he sought it. Whether the psychologists admitted it or not, mattered little to the student who, by the law of his profession, was engaged in studying his own mind. One must slow down to effectively read this book, starting from the beginning. An impatient person may wish to start in the later chapters (say, from chapter 28) to get to the bottom line, but how HA got there, after 60-odd years, is quite instructive and entertaining as well. And here I am, at age 72, attempting a long-deferred education through, in part, the written work of a man several years my junior at the time of its writing. 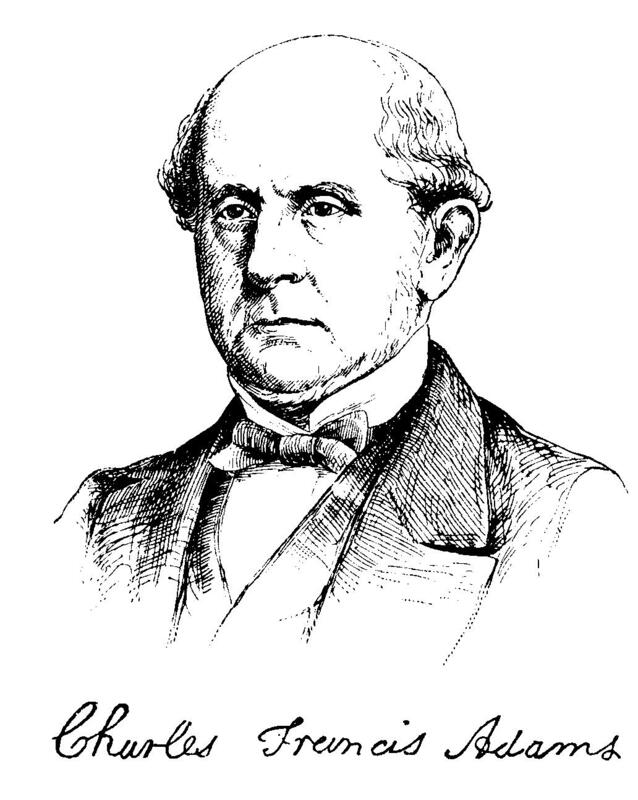 This entry was posted in Economics, Government & Politics, History and tagged Charles Francis Adams, Clover Adams, Education of Henry Adams, Henry Adams, John Quincy Adams, Peter Chardon Brooks, Theodore Roosevelt, William Henry Seward. Bookmark the permalink.